[ARCHIVED THREAD] - Can Arfcom ID this holster? Got this holster in a box of garage sale items. Doesn't match anything I own. 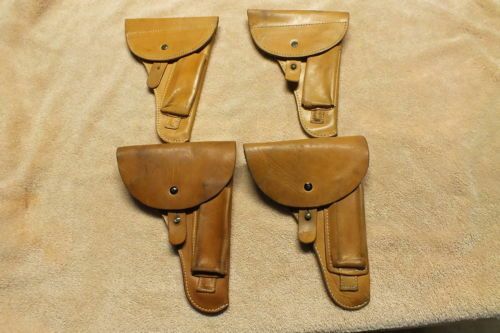 There are holsters of that style for the Luger, but that is definitely not a Luger magazine. 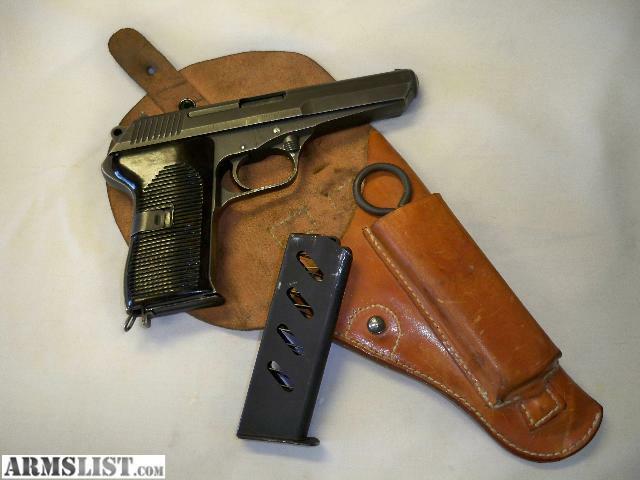 Looks like a CZ-52 magazine, so the holster is probably for one of them, as well. Looks just like the one that came with my CZ52. Name of holster: McGillicutty, Edmund R.
That's exactly what came to mind. I just don't have mine real handy to compare. yep, got one with my CZ as well..
where are all you guys getting the cz52's. All I can find is gunbroker. Any CR sites? I bought mine many years ago. Somewhere around 15 I would say. Looks like the one that came with my buddy's CZ-52. My opinions are my own and not neccesarily representative of any group I may belong to.